Titusville, PA is somewhat close to where I live. It's about 5-6 hours outside of Philadelphia. The past few years my father has run my support crew, which consists of just him. I did the normal distances before the 100 miler. 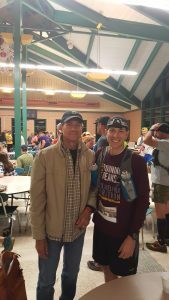 2 years ago I finished the JFK 50 Miler, then last year I completed Boulder Field 100K (62 miles). I decided to do something very different with my training. If you listen to the Jocko podcast you will hear about the benefits of Jiu-Jitsu. He speaks so highly of Jiu-Jitsu I decided to see if it would help improve my running. I decided against the 80-100 mile training weeks that would normally leave me injured. I worked for years on proper running form, now I just needed the mental side of the training. I was hoping it would get me through the long night. I would perform less running in the hopes of learning a new skill. I knew the race would be more mental than physical. 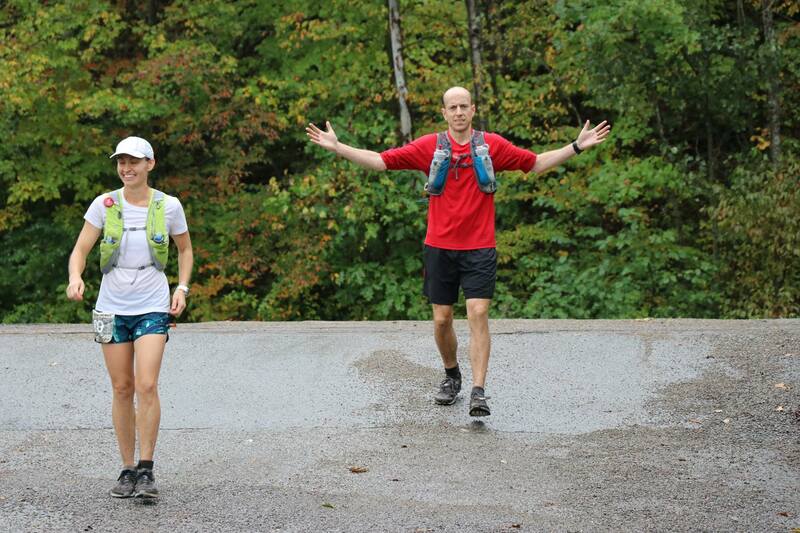 The saying goes, "An ultra is 90% mental and the other 10% is in your head". I signed up forJiu-Jitsu classes at East Montgomery Martial Arts taught by Mr. Exaros. Was I was going to jeopardize my racing? There are different types of submissions you perform. Some of them were painful, and I did get injured. Like any new activity, there is a learning curve, and I just needed to be patient. After 6 months of Jujitsu, I did notice more strength and confidence, and mentally I believed I could take on anything! My race times were also improving. I took that as a sign that it was working, so I was ready for the hundred! 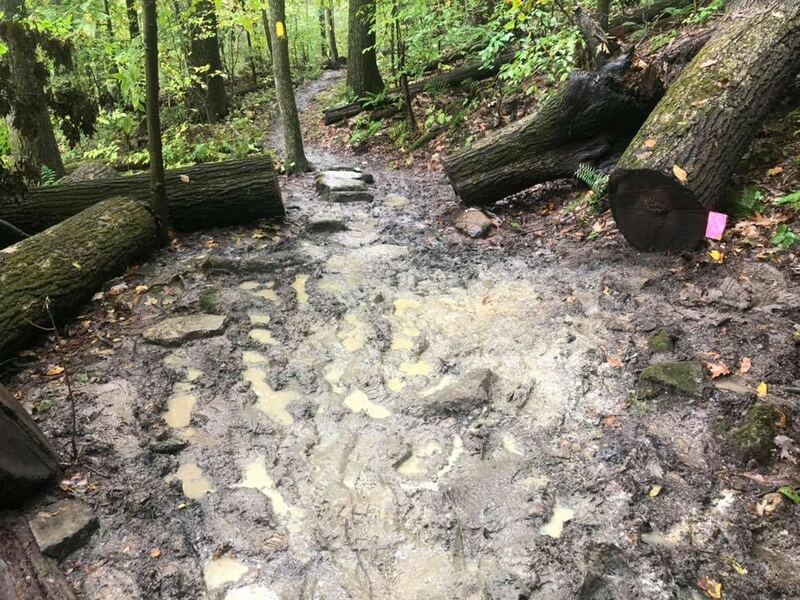 Race Conditions - What 85% of the trail looked like. This is what the course looked like. It rained multiple times you were on the course. Mostly after loop 2, you were wet the entire time. The aid stations that had food were about 8 miles apart. AS #2 and AS #4 allowed you to have a drop bag. Because the conditions were so poor for this race, having a change of clothes and shoes was critical. I made sure to pack 2 aid station bags with a separate pair of shoes and outfit. I had to change out of wet socks and clothes multiple times to avoid chafing. 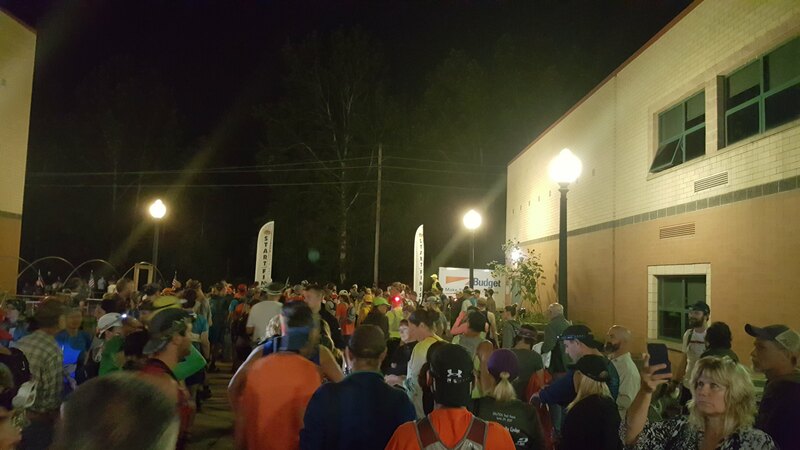 Thankfully, the aid stations were only 8 miles apart for food. This gave you a chance to recharge and pull yourself together. I had zero stomach issues and was able to keep eating the entire time. This was important as it kept my energy up. My best races have always been with complete strangers and this race was no different. It's amazing how you can create a bond with people you don’t even know. I guess it is because you are all suffering against the same course. I met Erin around mile 2 or 3 and we ran the majority of the race together. She was a 7-time Ironman finisher and was a WAY stronger trail runner. We talked about everything from family, work, life, and all the things we experience out on the trail. 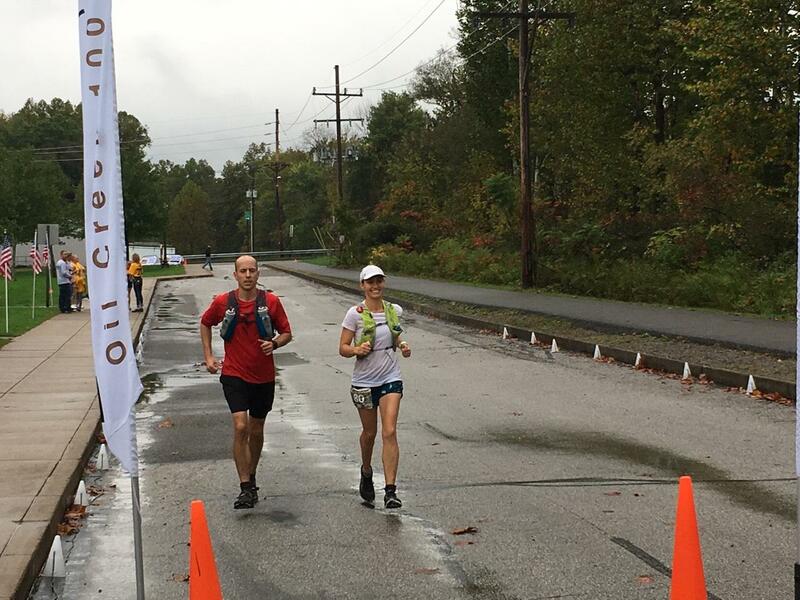 For her, it was her second time at the race so I looked to her for guidance about the course and what to expect. Neither of us was prepared for just how bad the weather would get, but we kept going. We kept moving forward and we didn't stop, even when lighting struck very close to us. I could have gone through aid stations a little bit faster. That would have shaved off an hour. It might have come at the sacrifice to my feet. I was very concerned about blisters so I made sure to change my shoes, shirt, pants, and socks any chance I could. I had read that if you take care of your feet you can get through a 100M. It was just a lot harder to do with all the rain. One regret was I didn't bring my small raincoat for my pack. Apparently, hypothermia is a real concern and I was lucky the temperature wasn't any lower. Are we done yet? Going home loop! Sitting on a bench in the middle of the woods with Erin and Gilbert. We sat there, broken, but we knew aid station 4 was close, and this was our final loop. All that we had left to complete was the “Going Home” loop. The funniest part of the race was when we arrived at #AS 4 and Gilbert’s wife informed him if he completed the race by 10 AM she could see him finish. She had to be at work. He sped off, out AS#4 without even saying goodbye. He really wanted his wife and family see him finish. I don’t blame him for that. It made both Erin and I laugh because he kept saying how much pain he was in. He wanted to quit so bad. I didn't understand how he changed it around so quickly. We did see him after the race and his feet were completely destroyed. Would you run the race again? Yes! I want to run this thing on dry trails! 28:57:42.30   #32nd Place out of 70 runners and 170 total starters. 62% drop rate! When you take on challenges like this in life everything becomes a little bit easier. On the way home, we stopped by a Burger King for some much-needed junk food. The cashier said that chicken tenders were going to be an extra 5 minutes to the lady in front of me. I had never seen somebody get so angry in my life over having to wait 5 minutes. Her response was, "well I guess this isn't really fast food!". She stormed out of the store while yelling at her husband to wait for them. It made me think about our expectations, and how we manage them. If you are able to be understanding, adapt, or change your perspective in life I think you can take on any massive challenge. Even one like this, where SO many things will go wrong. It's not about what happens to you, things always go wrong. It's how you respond! 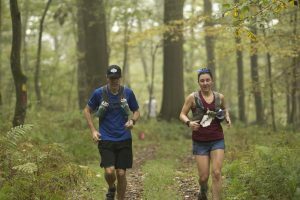 "Why do you want to run 100 miles?" Same reason you want to run 5, 10, 13.1, and 26.2. It is an awesome feeling to finish a new distance for the first time. I want to keep progressing. The marathon doesn't need to be the last distance you finish. Completing a new race distance raises the bar for your life. 100 miles will be more mental than physical. I want to be tested. I raced hard the past few years to get to this distance. I am ready. 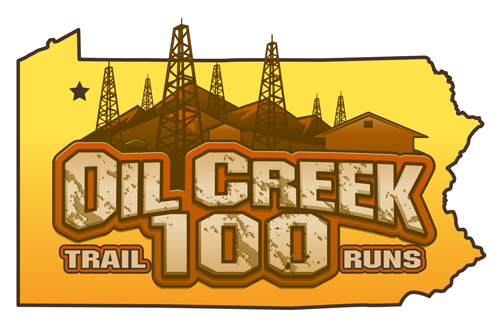 The race will be the Oil Creek 100. 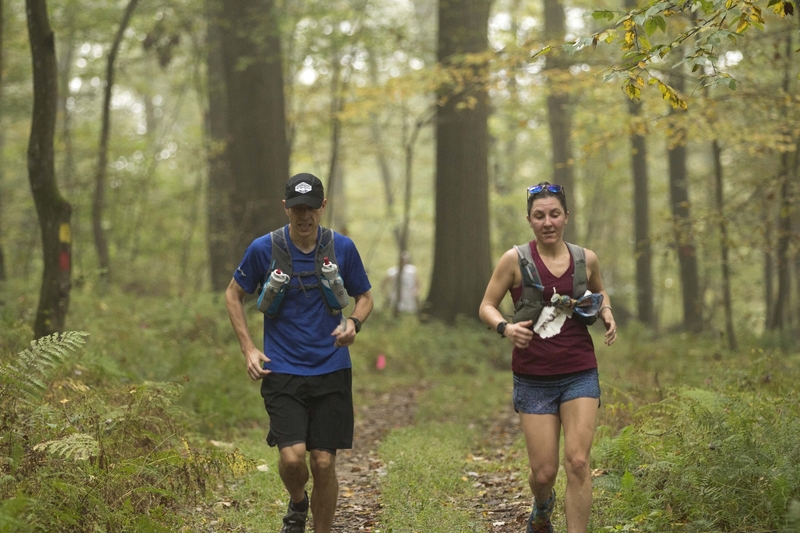 One of the top 100 mile races in Pennsylvania. How do you train for a 100? 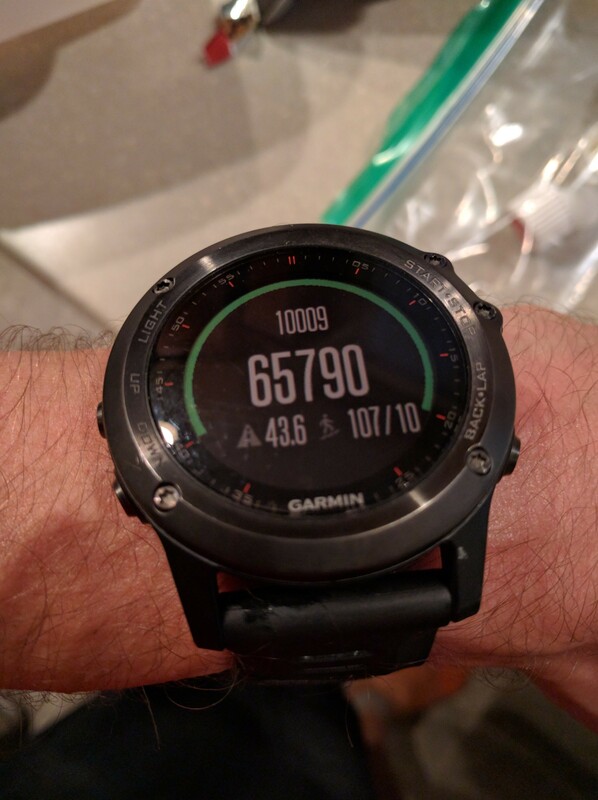 The same way you train for a trail marathon, get weekly totals close to 100 miles. Make sure the terrain and elevation you train on have a similar profile to the race. Strength training is important. I joined a jujitsu class to work on strength and focus. The race is 98% mental. How do you train the mental side of the race? Make the training difficult and push your limits, but get to the starting line healthy. I want to avoid over training. What do I gain if I complete the race? A belt buckle? An incredible sense of accomplishment? I want the story, I want the experience under my belt, not on my belt. There is never a right time to do this in my life. I am doing it for myself mostly, to become a more tolerant person. If I can endure this pain I can endure anything. Distance running teaches patience. Life is too much routine. Break the routine with something big. Something different, an experience worth remembering. If you have the willpower and the focus, which most lack, give something big a chance. 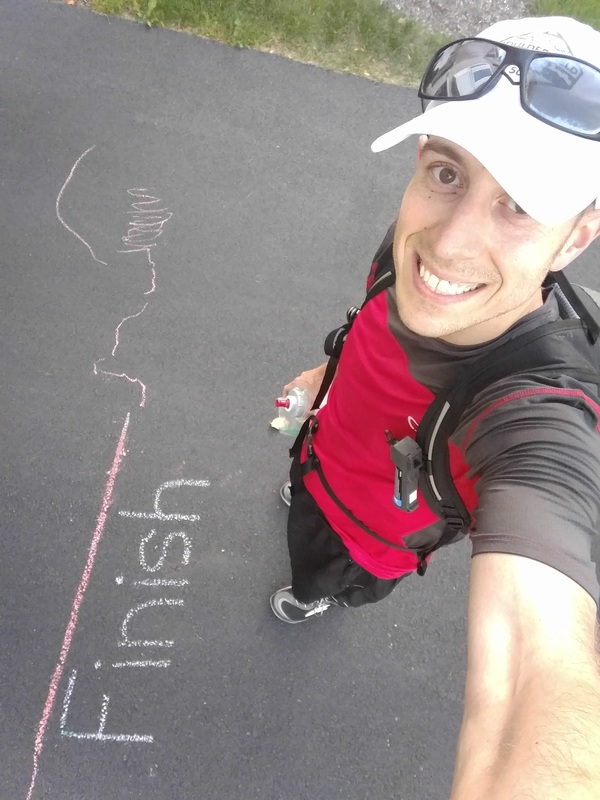 Ultra Run Commute – Things I learned running 40 miles in one day to get to work. After each race I write down what went right, wrong, and what I could have done differently. I've been doing a 20-24 mile run to work for several years now. Mileage will vary depending on the different paths I take. For about 8 years I've thought to myself, would it be possible to run both directions, both to and home from work? The shortest distance I could make the route was 20 miles, so it would be around 40 miles round trip. That would be about 6-7 hours of running, broken up over 2 parts of the day. The terrain is mostly flat, and somewhat downhill heading toward the city. Well, I pulled it off... Here was some of the things I learned doing my ultra run commute. 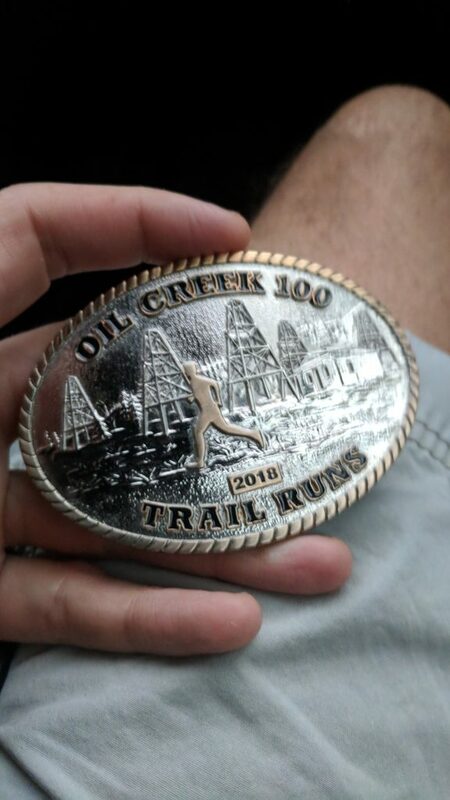 I had stomach issues my last 50K race. Some of that I attributed to excessive sugar intake during the race. I went this time with granola bars, cashews, 1 GU, and Vitargo as my drink. Adding some REAL food vs using energy gels seemed to agree more with my stomach. Using an alarm when your heart rate is too high was critical. I'ved turned on the HR alarm in the past, but I knew if I wanted to make it home alive, and in a reasonable time, I had to be conservative. I stayed at my Maffetone heart rate for both directions of the run, for the most part, with only allow +10 beats over my number (145 for me, I allowed a max of 155 since I treated it like a race). I never felt fatigued or felt like I was running past my abilities. I've learned that you need to run YOUR RACE for the long events. The last event I did I got swept up trying to run somebody else's race. I wasn't taking an inventory of my own situation. Every few minutes you need to run through a checklist: "Am I going to fast? ", "Am I eating enough". "Am I taking these hills too hard". If you don't pay attention you could end up where you've depleted your body and run past your abilities. I kept taking a mental inventory because I knew if I didn't I would pay for it on the way home. I carried way too much equipment/food on my way to work. If I had to do something like this again I would have brought everything to work the day before that I needed for the return trip. I made sure I only had essentials for heading home. Maybe it was the idea of not having to carry so much stuff, but I felt so much faster/lighter that it made the run back seem easier. You get by with a little help from... complete strangers. I was half way home when this guy runs by me and says, "Good job man, keep it up". It was enough for me to strike up a conversation with him and ask if it was OK to run with him. I know this is really a positive, but I don't understand why I need others to help me run faster. I am glad he came along because without him I NEVER would have run a negative split heading home. I'm just wondering what do I need to unlock the ability myself, not relying on someone else. I can't always have a pacer at the right time and need that strength to come from within. Carry music for the last 10% of the race. I gave up music years ago, but I do think it has a place for the end of a race. When the pain is starting to set in and you need a distraction. It also would have been something to look forward to if I had said, "At mile X I get to listen to music." As long as this doesn't interfere with doing your inventory of your body to make sure everything is still OK. I wouldn't change a whole lot with this day. I was happy with the time, I was happy with my pace. I think I really got lucky running into that guy who ran with me for several miles. I still can't believe I ran a faster time heading home... This is something I could see myself doing once a year, as long as I'm still working at the same place in the city. Crossing the finish line the family drew.